Treatment at the Paley Institute will sometimes require significant time away from home, which can be hard for many families. Treatment requires a lot of attention, focus, and hard work. Finding things to do that break up the daily routine can do wonders for the patient and the whole family. 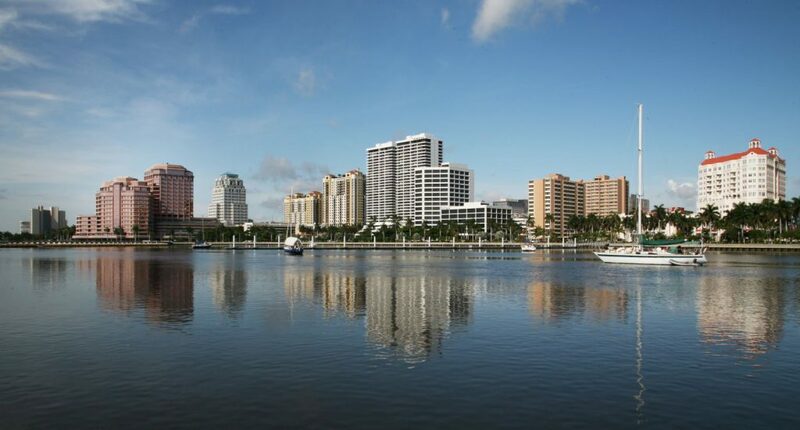 This section includes list of fun things to do in West Palm Beach and the surrounding area. This is not meant to be a comprehensive list, nor does the Paley Institute specifically endorse any of these organizations. For more information on what to do in the area, please visit the online visitor’s center on the Palm Beach County Convention and Visitor’s Bureau website. The Breakers is a family vacation all unto itself. It starts with the fun organized activities of the Coconut Crew for kids ages 3-12. All the kids will have plenty to do at the Family Entertainment Center, and throughout the year everyone in the family can partake in the various themed adventures of Family Night Out, Game Day, and Beach Bonfires. Morikami Museum and Japanese Gardens is the center for Japanese arts and culture in South Florida. Explore 2,200 acres of untamed Florida Everglades preserved in its pristine state by the Seminole Tribe of Florida. Includes swamp buggies and airboat tours of the Everglades. Several fun and family friendly activities and food events all year long at Abacoa Town Center. Florida’s only drive-through safari and walk-through amusement park invites you to spend the day on safari. With animal displays and encounters, animal feeding experiences, camel rides, amusement park rides, water spray ground, food, shopping, and more, you are sure to have a memorable experience. Located in Tradewinds Park, Butterfly World opened in 1988 and is the largest butterfly park in the world and the first park of its kind in the Western Hemisphere. The facility houses around five thousand live butterflies. Jupiter Lighthouse offers climbing tours of the landmark 1860 Jupiter Lighthouse and exhibits in the waterfront History Museum located in the restored World War II Naval housing quarters building. Florida Oceanographic Coastal Center is a 57-acre marine life nature center located on Hutchinson Island, situated between the Indian River and the Atlantic Ocean. Florida Oceanographic offers nature trails, game fish lagoon, children’s activity pavilion, sea star touch tank pavilion, and rays on the reef ray pavilion. One of Palm Beach County’s most popular parks, DuBois features fishing, boating, swimming, snorkeling, and picnicking in a scenic, tropical setting. Its design incorporates many ADA-compliant features. The park features a tidal creek that has become a popular wading and swimming area for small children. The park is connected by a footbridge to Jupiter Beach Park. Busch Wildlife Sanctuary is dedicated to the protection and conservation of Florida’s wildlife and natural resources with a two-fold mission of wildlife rehabilitation and environmental education. Admission is donation only and small, up-close and personal with rescued animals. Watch alligators and crocodile feeding. Loxahatchee River Boat Ride and Tour – Two-hour boat ride that includes a stop at mysterious Trapper Nelson’s place. Experience the amazing world of the PlayMobil Fun Park at Palm Beach Gardens with its broad variety of different play areas. Thirteen thousand square feet guarantees pure fun, where children’s dreams of knights, pirates, farms, police, fire rescues, dollhouses, and more can come true. Experience South Florida’s history through two floors of hands-on, interactive exhibits. Learn art, music, the sciences, and more through free weekly programs, affordable education classes, and specialty workshops. One of the largest museums of its kind in Florida. The museum features its own IMAX theater and shows 3D IMAX films in which viewers wear special glasses and headsets. The museum also features a number of “ecoscapes,” as well as a simulated ride to Mars and a MaxFlight airplane simulator. Among the more popular aspects of the museum are the quantity and variety of Floridian animal species on display. The Palm Beach Zoo is a non-profit zoological organization located at Dreher Park in West Palm Beach. The Zoo houses over 1,400 animals within 23 acres of lush tropical habitat. Nestled on a barrier island, John D. MacArthur Beach State Park is the only state park in Palm Beach County. Explore almost two miles of pristine beach and swimming, snorkeling and fishing – and a nature center, gift shop, children’s playground, nature trails, kayak rentals, and picnicking facilities. There are many special events and children’s programs, guided adventures, recreational skills lessons, MacArthur Under Moonlight concerts, summer day camps, and special holiday celebrations, etc. Loggerhead Marinelife Center is a non-profit education and ocean conservation facility that houses a variety of exhibits, live sea turtles and other coastal creatures. Exhibits include a massive prehistoric Archelon sea turtle replica, salt water aquaria and displays of local wildlife, as well as educational displays about South Florida's marine environment. Grassy Waters offers unique educational and recreational opportunities on the edge of a vast, 20-square-mile native Florida wetlands wildlife sanctuary. The preserve includes nature center pavilions, meandering boardwalk trails, hiking, canoeing, programs, entertainment, and more! The Wakodahatchee Wetlands have attracted an abundant variety of wildlife including turtles, frogs, alligators and birds. A three-quarter mile boardwalk winds through three of the wetland's ponds, allowing visitors the opportunity to read interpretive signs and learn about water purification, wetlands ecology, natural history, and the interdependance of people and their environment. The Sandoway House Nature Center is located in a historic 1936 beachfront home in Delray Beach, Florida. The house serves as a unique Nature Center home to native plants, live animals, and a world-class shell collection. Educational programs are offered to the public at Sandoway House including: shark feedings, guided historic tours, nature walks, astronomy nights, summer camp and special events such as Earth Day. Developed by the Greater Boca Raton Beach and Park District and operated by the City of Boca Raton, this 132-acre park continues its commitment to enhance the role of recreation and culture for residents and visitors alike. Sugar Sand Park is home to the Children’s Science Explorium, the Willow Theatre, and the Field House, which features an indoor gymnasium. Every year, McCarthy's Wildlife Sanctuary treats hundreds of native animals that were sick or injured. Everything from foxes to bobcats, Sandhill Cranes to pelicans, hawks, owls, and many others have received veterinarian care by our staff and then were released back into the wild. Gumbo Limbo is a nature center owned and operated by the city of Boca Raton and on land that is part of the beachfront Red Reef Park. The complex includes an indoor museum with exhibits, a fish tank, and a gift shop, and some outdoor facilities including several large tanks for fish, turtles, and other sea life, a plank trail through the adjacent woods with an observation tower, and a clearing for observing butterflies. An educational and entertaining marine animal park where performances are up close and personal. At Theater of the Sea you can swim with the dolphins, sea lions and stingrays in their natural saltwater lagoons through our interactive swim programs. Come see the dolphin that inspired the movie Dolphin Tale! Discover the mysteries of the Everglades at South Florida's oldest alligator farm. Near the main entrance of Everglades National Park, Everglades Alligator Farm contains more than 2,000 alligators. Glide across the everglades on one of our guided airboat tours. Alligator, snake, and wildlife shows are performed hourly. Where humans are caged and monkeys run wild! A total of 30 species of primates are represented at Monkey Jungle including gibbons, guenons and spider monkeys. The Miami Zoo houses more than 2,000 wild animals in an environment that closely approximates the animals’ natural habitats and gives the visitor the feeling of embarking on an international safari or delving into the Amazon rainforests. Large, open-air exhibits allow visitors to enjoy beautiful and endangered wildlife at a safe yet remarkably close range. Miami is the only zoo in the continental United States located in a subtropical climate. After 50 years of protecting Florida’s great places, The Nature Conservancy considers Blowing Rocks Preserve a top success story. This peaceful, barrier island sanctuary is a well-known model for large-scale, native coastal habitat restoration. Come enjoy an afternoon of Major League Baseball. Spring Training games for the Miami Marlins and St. Louis Cardinals are held annually the end of February through the end of March. Embark on an epic adventure on board the Black Sparrow Pirate ship! You and your family will have the time of your lives searching for long lost treasures and battling the pirates of Peanut Island. Your 65-minute action packed adventure sets sail from Riviera Beach Marina daily. The River Center features live aquatic tanks, interactive exhibits, and a touch tank that represent the river system from a freshwater cypress swamp to seagrass-dominated estuary to marine ecosystems. A private, non-profit organization, dedicated to promoting an environmental awareness in people of all ages. The Center offers a variety of educational presentations to schools and organizations, as well as supplementary activities for the public, including turtle walks, summer camps, evening forums, scrub tours and more. Riverbend serves as the only surviving example of a subtropical cypress forest river system remaining in Florida. Riverbend has become the connecting hub of larger trail systems, such as the Florida Trail, the Northeast Everglades Natural Area, and Ocean-to-Lake [Okeechobee] Trail. Visitors enjoy canoeing/kayaking, picnicking, hiking, and scenic biking and equestrian trails. A beautiful shady park with a small asphalt trail, the kids can play on the playground, rock climbing area and tree house while you walk or jog around them on the trail. Palm Beach's only sightseeing adventure over land and sea. See the charming neighborhoods of old West Palm Beach on a lively 75-minute, fully narrated historical and musical tour. Legendary for its quality merchandise, extraordinary integrity, and ocean-side setting, opulent Worth Avenue on Palm Beach offers everything from haute couture designer clothing, shoes, and jewelry to internationally acclaimed paintings and antiques, restaurants, hotels, boutiques, upscale businesses, and services. Reminiscent of an Italian town center, CityPlace is an exciting destination for shopping, dining, and entertainment. Enjoy over 60 shops, 30 restaurants, cultural arts theater, and a 20-screen Muvico IMAX. Relax to free weekend entertainment on the plaza in front of spectacular show fountains. South Florida's premier shopping destination featuring Nordstrom, Saks Fifth Avenue, Bloomingdale's, Macy's, Sears, and over 160 fine shops and restaurants in an exquisite indoor setting. PGA Commons offers 12 delectable restaurants, bistros, and cafes with spectacular indoor and outdoor seating. Over 30 eclectic shops, galleries, and spa. Outdoor shopping, restaurants, and carousel. Wonderful fun for adults and kids! Atlantic Avenue offers traditional downtown shopping, complete with quaint brick sidewalks and gaslight-style street lamps. Features gourmet restaurants, cozy bistros, and outdoor cafes in addition to boutiques, gift shops, jewelry stores, art galleries, and antique shops. Special events and festivals are held throughout the year. Come have fun with your Paley friends and raise money for the Paley Foundation.